The old saying goes "You get what you pay for"... that may be true in some cases, but certainly not the in beauty arena. I have a plethora of beauty products varying in price range. I typically don't find drugstore products to be comparable to their higher-end counterparts, but the brand Eyes.Lips.Face., or E.l.f for short, has done in incredible job at creating quality products at an unbelievably-reduced price point. 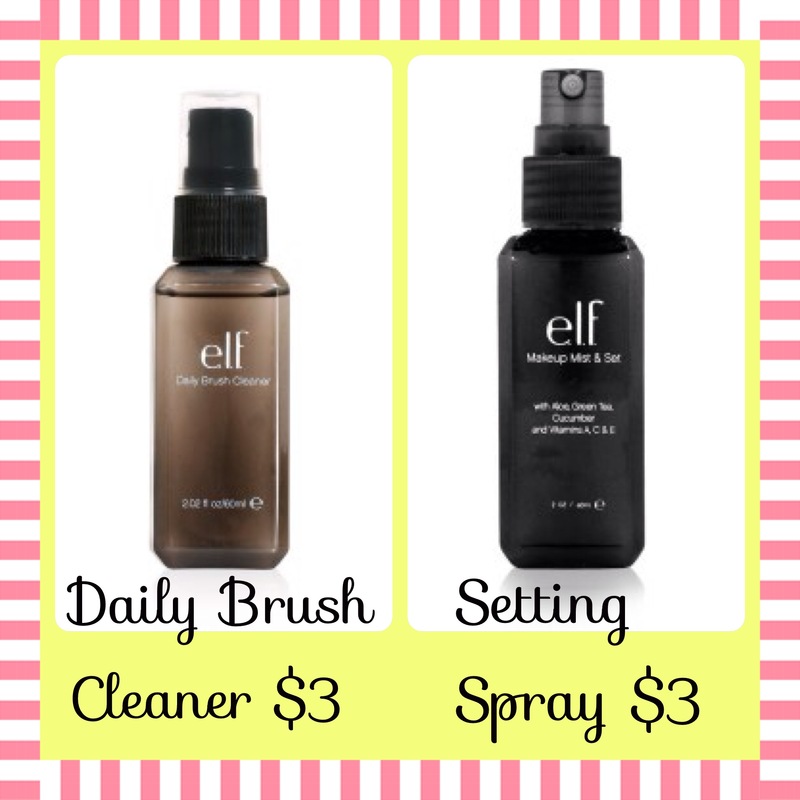 While I do not feel everything they produce is worth while, here are my top 5 favorite products for E.l.f, which are all under $7!!! E.l.f is available online at www.eyeslipsface.com (Free Shipping on all overs over $35 - P.S. that's a lot of makeup!) or in store at Target. You may find a few products at other retailers. During a recent grocery trip to Wegmans, I found a small section available, and that's where I picked up the lip scrub (see below). 1. With the winter the North East has been experiencing, my lips have become like sandpaper. I looked through Allure and various beauty websites in the search for a pre-made, affordable lip scrub. My search was not going very well, as everything I came across was absurdly expensive (although I'm sure very good) or I was being encouraged to go the DIY route. Neither were tickling my fancy, until the Pinterest gods shined upon me and I found this super cheap version from E.l.f.. 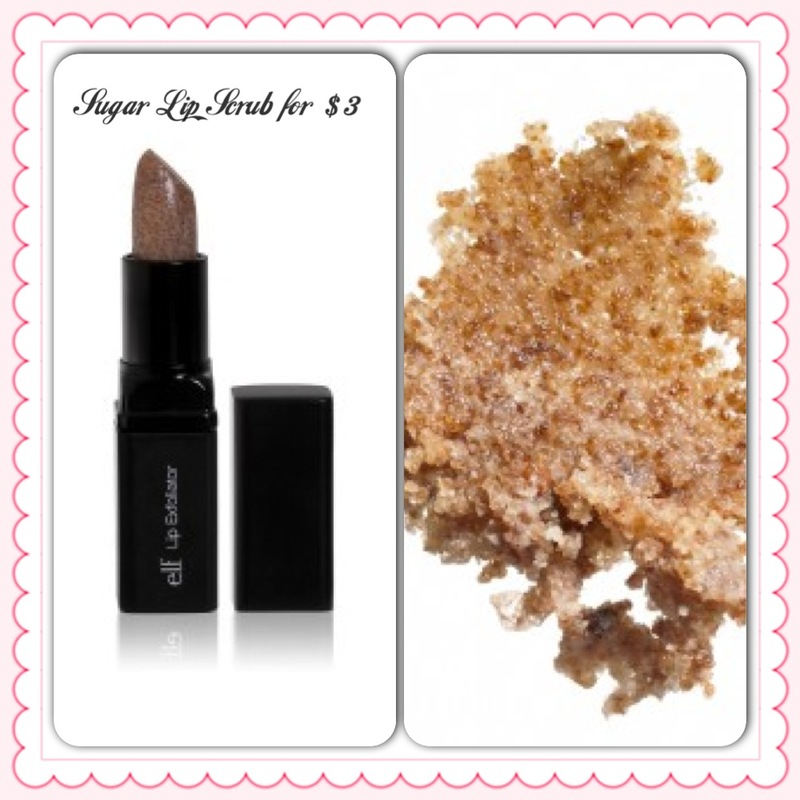 It is a brown sugar scrub in the shape of a lipstick, which makes it very easy to use. You simply moisten your lips with water and move the lipstick scrub in small circular motions over the undesirable areas or your entire lip. Once you've sloughed off the dead layers of skin, take a wash cloth or tissue and wipe off the excess scrub. You lips will be perfectly primed for lip balm and that's exactly what you do next (I personally only use EOS balm). Any balm of your choice will condition your freshly exfoliated pout. If the winter woes are not causing you to suffer from sandpaper lips, as I am, there is always fun alternative reasons to try this lip scrub. With Valentine's Day right around the corner, your boyfriend/husband/significant other will be thanking you for your super smooth kisses! 2. I tend to vary my use of different kind of foundations, from Bare Minerals' Original loose powder foundation to Tarte's Amazonian clay liquid foundation, which are both fantastic... but that's for another post. With extremely long, draining law school days, my makeup seemed to appear dull after a 10 hours of being in class, studying, and reading. My mom had started using foundation primer again recently and she inspired me to go back to wearing primer. Primer, in general, gives your skin and smooth, blank canvas to work with. My favorite aspect about primer is that is seals in the moisturizer/serums/creams/etc. that you put on prior to your makeup application. My mom uses the Bare Minerals Prime Time primer, which retails for approx. $23-32, depending on the ounce size. The product is superb but not really manageable in my budget. Once again, Pinterest graced me with the E.l.f. Mineral Infused primer. I follow my typical morning routine of applying two moisturizers to set into my skin, for about 5 minutes. I then dispense 3 pumps of E.l.f primer into my hands, rub my hands together, and smooth onto my face. I, again, allow it to absorb and set for about 5 minutes. *If you don't have time in the morning to do both steps, the E.l.f. primer is good on its own. * I then apply my makeup and I'm all set. My foundation remains luminous for all day with the use of E.l.f. 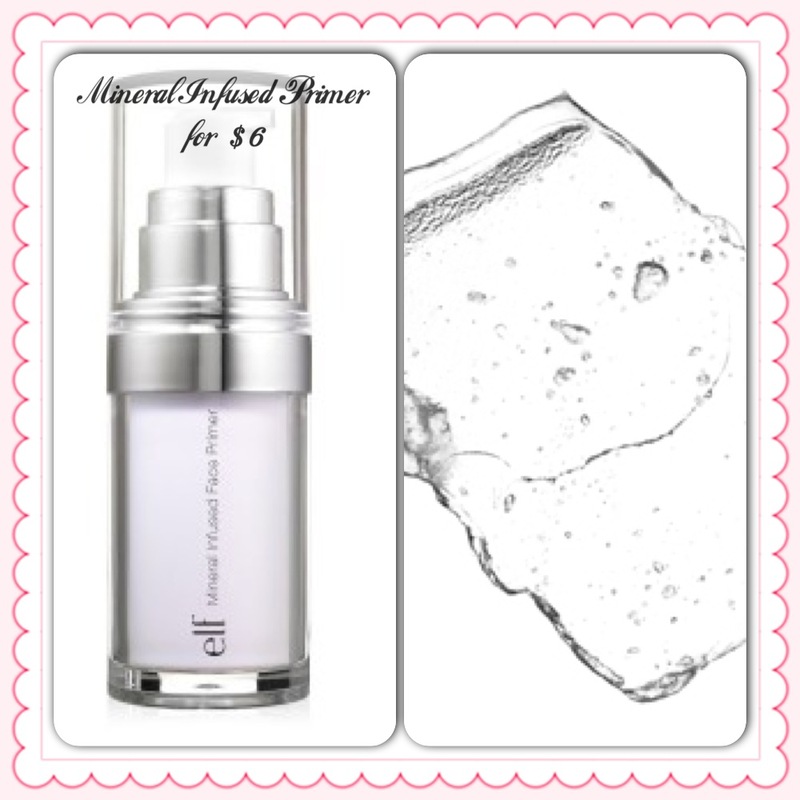 Mineral Infused Primer...and at $6, you can't beat it! 3. 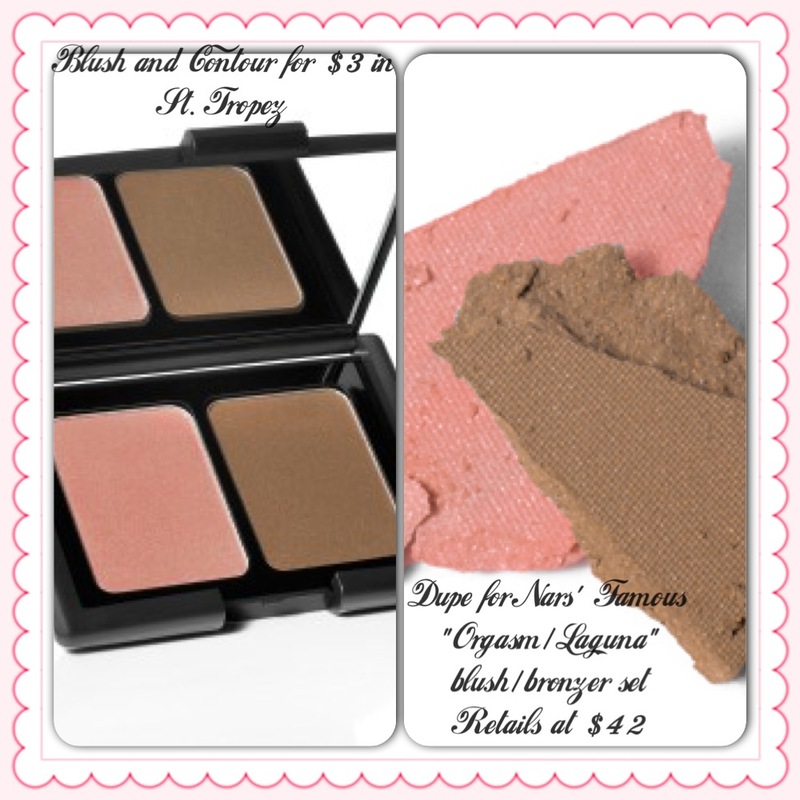 I was in the market for a new blush and with all the great finds I've had with E.l.f. I decided to give their's a try. I am obsessed with this palette! It's a perfect dupe for Nars' famous "Organsm" blush and "Laguna" bronzer combo, which costs $42 at Sephora! E.l.f. has a set known as "St. Tropez" for $3!!!!! It's awesome. I use the contour first and apply the blush on the apples of the cheeks, swiping upwards. It gives the appearance of that sought-after natural flush that every girl is looking for. 4. There is one makeup rule I believe is finite: Always clean your brushes. Many women don't realize how easily bacteria and other irritatants get transferred onto clean skin everyday when brushes go uncleaned. For example, if you apply makeup to acne prone skin, the bacteria gets on the brush and will multiply. If you are trying to reduce your acne, as everyone is, by leaving brushes uncleaned from the day before, you are putting the icky bacteria right back on your skin after you've spent all this time with acne washes and treatments to clear it. E.l.f. makes a great daily anti-bacteria brush cleaner that will take care of this common problem. Simply spray your brushes a few times with the product and wipe them onto a towel or tissue until the swipes are clean. 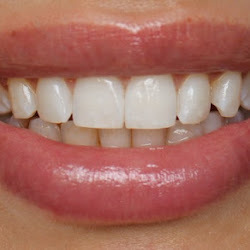 Allow them to dry and they are perfectly prepared for your next application on the following day. 5. The newest addition to my E.l.f. collection is their Makeup Mist & Spray. I've typically avoided any kind of setting spray in the past because a majority of them contained alcohol, which tries out the skin terribly. E.l.f. 's product is completely moisturizing, with ingredients like aloe, green tea, cucumbers, and vitamins A, C, & E. It's like a perfect pick-me-up right before you walk out the door. I'm not sure if it's really keeping my makeup from moving or keeping it on longer, but it leaves a beautiful finish to my look. I would definitely recommend giving this a try. I think this would be a great refresher during the summer as well, especially while at the beach. For $3, it's worth the investment. One more fantastic thing about the Eyes.Lips.Face. (E.l.f) brand is that they are PETA approved! No animal testing here! 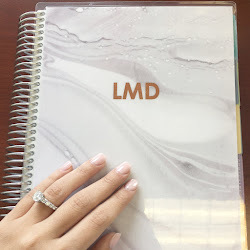 Thanks for checking out my top 5 favorite E.l.f. products!